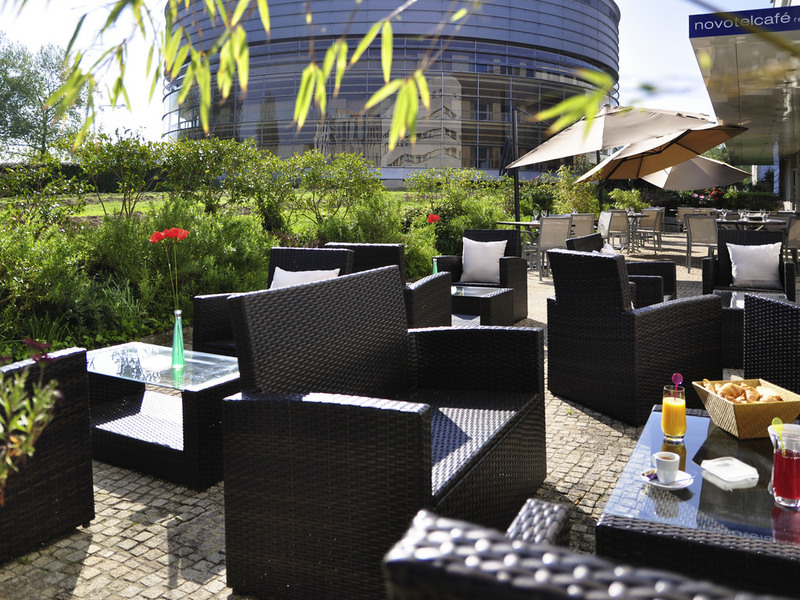 For business or leisure, make the Novotel Nantes Centre Gare hotel your first choice. Part of La Cité Nantes Events Center, the hotel's two meeting rooms make planning your business seminars a breeze. Novotel's bright, spacious rooms are ideal for visits as a couple or with your family. Free high speed WiFi makes them perfect for work as well as relaxation. Be tempted by the restaurant menu and take in the amazing view of Canal St Félix: a perfect culinary escape in the heart of the city at Novotel. The Hotel Novotel Nantes Centre Cité des Congrès is the ideal base for visiting Nantes & the Loire-Atlantique. See the Castle of the Dukes of Brittany, Beaujoire stadium, Les Machines de L'Ile, or a concert at the Zenith arena or La Cité Events Center. Stay connected with free WIFI. All rooms at the Hotel Novotel Nantes Centre Cité des Congrès have a surface area of 269 sq. ft. (25 m²) and air conditioning. Our Executive Rooms offer a contemporary style, bathrobes, Nespresso coffee and free minibar. Eat what you want, when you want. Enjoy simple, tasty, healthy and balanced cuisine at any time and satisfy all your cravings. Take a moment to relax in the restaurant, bar, on the terrace or in your room.